Today was Day #3 of Chocolate and Some Enchanted Islands Theme Week. 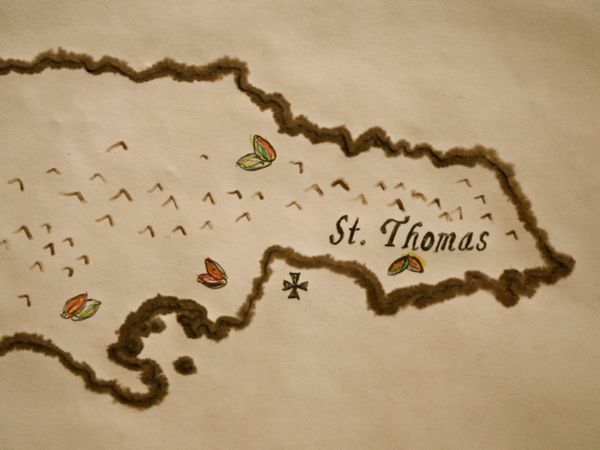 After spending the first three days of the Enchanted Islands chocolate tour in the Dominican Republic, we're sailing west to Jamaica, to experience cacao that originated in St. Thomas Parish*. This cacao-growing island nation produces less cacao than it used to**, and supplies of good beans have been harder to obtain in the last decade, due in part to a drop in supply. Jamaica conjures up notions of bright Caribbean colors, steel drums, and spicy flavors—in short, a bold experience. 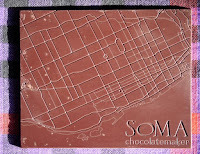 Everything about today's three-ingredient single origin dark bar was smooth, consistent, well crafted and well balanced. 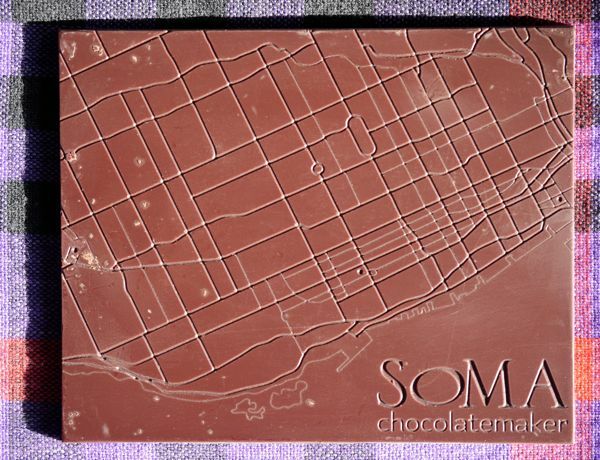 The SOMA bar contained Trinitario cocoa beans, organic cane sugar and added cocoa butter. 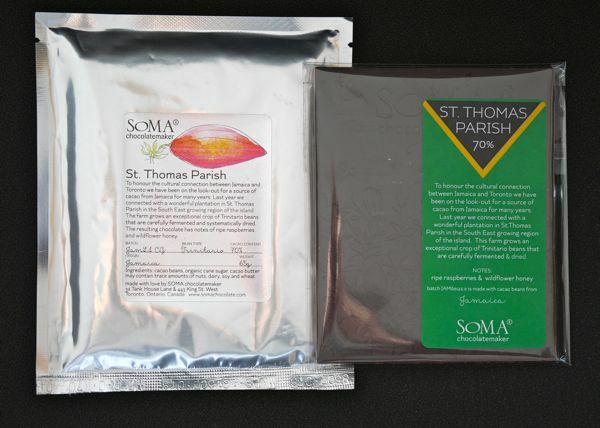 The aroma and flavors had muted notes of: light jungle/forest growth, green wood or herb (I experienced a tiny hint of fresh baby green fennel shoots in cream), a mild sweetness (fresh fruit salad made with tropical fruits, raspberries, honey and cream). There wasn't one off note in the entire bar. **Data from the Jamaican Cocoa Famers' Association website estimates that annual production of cocoa in Jamaica dropped from 2,522 tons in 1992 to 440 tons in 2008.